In I Am Legend, a plague has decimated the world, and those unfortunate enough to survive are transformed into blood-thirsty creatures of the night. Robert Neville is the last living man on earth. Every other man, woman, and child has become a vampire, and they are all hungry for Neville's blood. By day, he is the hunter, stalking the sleeping undead through the abandoned ruins of civilization. By night, he barricades himself in his home and prays for the dawn. How long can one man survive in a world of vampires? 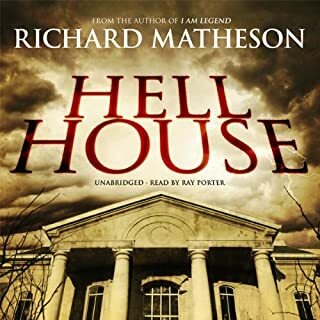 ©1954, 1982 by Richard Matheson (P)2007 Blackstone Audio Inc.
love this book! Much better than the movie of the same name. The narrater did an excellent job as well. Very suspenseful. Would highly recommend. The narrator did a great job telling the story. The story it'self was lacking in substance. I was very dissapointed in the way it all played out which made most of the detail within the book pointless. Like a lot of reviewers, I saw the movie before I ever heard of the book. In fact, I decided to read the book because I was hoping for some clarification about some concepts and ideas that the movie hinted at but didn't explain. 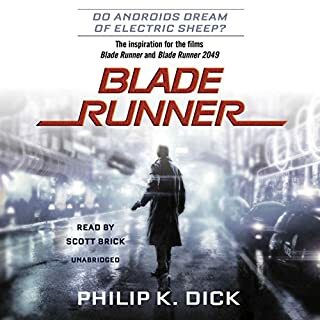 Rather than reading it, I bought it on Audible and let somebody else read it to me. From the start I knew this book was not going to be the movie. Neville was definitely not the same man in the book that Will Smith portrayed in the movie. A lot of the questions raised by the movie were not answered, though many others were. I liked that Neville wasn't some super-hero action star in the book. He was a normal guy just trying to survive in a world that didn't want or need him anymore. He was intelligent and given to learning, but he was also very dark, depressed and lonely. I pictured a Steve Buscemi in the book far more than a Will Smith. Rather than saying if you liked the movie you won't like the book, I'd rather say that if you liked the movie, you may also like the book, just don't expect it to be the same story. The movie is only very loosely based on the book. One more thing, when I saw the movie I thought "wow, the infected people are kind of vampiric", but they never used the word vampire, rather calling them "dark-seekers". The book was very prolific in the use of the word vampire, and I loved the history of vampirism as explained in the book much much more than the reasons given (well, sort of given) in the movie. Summary: Great fiction, great character development. Sometimes melodramatic narration (to be expected in an audio-only reading). Got a little long-winded and obscure during some of the exposition around the disease, and yet still intriguing to the curious mind. 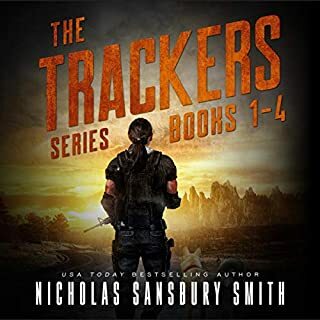 Over all, I enjoyed it and would recommend it to anybody who can handle the darkness of a post-apocalyptic world where the protagonist is not an action-hero superstar! Written in 1954, this book stands the test of time. Course if written today, the vampires would be Zombies. At least two movies have been made of this, but neither followed the book totally. The movies are good and the book is good. While this is a Horror, it is also Science Fiction. The book is entertaining and thought provoking. I highly recommend it. The narrator is excellent. 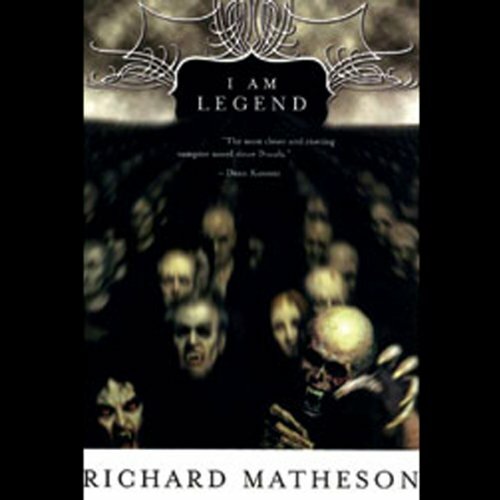 Richard Matherson's I Am Legend is a classic from the 1950's that reads almost as well today as it did when originally released. Only one man appears to have survived a plague that turns humans into vampire-like creatures, only coming out at night, seeking him out. Without any superhuman abilities, he manages to organize himself for survival as well as some rudimentary investigation into the cause. Perhaps the most interesting aspect of the sci-fi elements is that in the 1950's, the widespread introduction of antibiotics into medical practice hinted at the possibility of conquering all bacterial infections. And so Materson postulated a bacterial infection that was incurable with a spore phase for efficient spread. His suggestion of Darwinian evolution driving humanity's extinction, only to be replaced by something else is somewhat unique for the time. Although contemporary writings would insert zombies instead of vampires, the various scientific explanations for vampiric behaviors is noteworthy. The narration is quite well done and expertly shifts in sync with the nearly bipolar attitude displayed throughout. Pacing is on target, making for a quick listen. This is really a fantastic book. None of the movies based on it really do it justice. This is a very intimate telling of one man's experience with the end of civilization as he knows it. Movie adaptations always have to add more action or add new elements. What makes this novel so remarkable and memorable, however, is just how intimate the story telling is and how much I find myself caring about Robert Neville's character. It's particularly remarkable to me how well this story holds up considering it was written in 1954. It is written in such a way as to have very, very few aspects that date the story. It is just as easy to visualize the story as happening today as I believe it would have been 50 or 60 years ago. It is, in my opinion, a very intelligent and smartly written book and I'd recommend it wholeheartedly. The narrator is a perfect match for the material as well! I'd give it more stars if I could! An intense, thought-provoking look at one man's struggle to survive in a world where all the rules have been irrevocably changed. Like Gulliver's Travels, this story can be read on more than one level. As Robert Neville plans his existence around the physical requirements of his new reality, we are absorbed by the bleakness of his outlook, caught up in his carefully planned accommodations of a new world order. On another level, we feel the loneliness of Everyman as he makes his way through life, surrounded by people, buffeted by circumstance, struggling always to be true to his core principles, whatever they might be. This book had me not wanting to put it down. The emotional rollercoaster Neville experiences is incredible. A great story about survival and the indominable human spirit in the face of overwhelming odds. 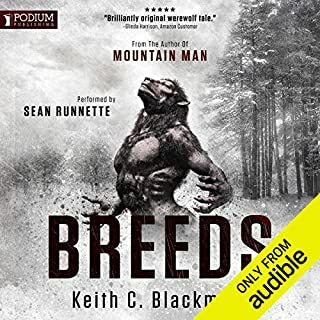 I enjoyed every aspect of this brief, well produced audible version of I Am Legend, (and especially recommend if you can pick it up when Audible has one of its special offers). 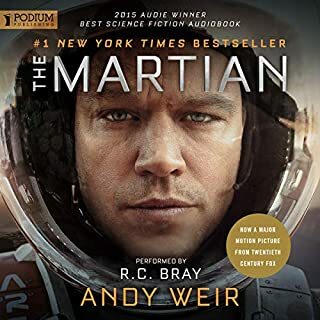 Dean's narration made the listen as animated as a Columbia Broadcasting System radio presentation ala Orson Wells doing H.G. Well's War of the Worlds. Bless Matheson for bringing us the concept of a vampire apocalypse! Because of his imagination and talent, so many of Matheson's books and stories were translated to movies and TV. Loved, loved, reading the reviews and opinions about the book vs. the multiple movie versions of I Am Legend. Either I am not so opinionated, or just easily entertained, because I thought all the book to movie interpretations were great fun ... from the Vincent Price version (which embarrassed author/screenwriter Matheson resulting in him using a pseudo-name in the end credits aka *Logan Swanson*); especially the very campy Omega Man, the vampires replaced with the *Family* of albino mutants [so bad it was good]; and finally to Will Smith's intellectualized NY version with the *Darkseekers*. As fun or as creepy, none of those versions equal the book and it's emphasis on the psychological impact of being alone. Why read this book when we know the story almost ad nauseam - in hundreds of incarnations? Because 'MATHESON is legend'. Give a quick look at his Wiki profile.... The Legend of Hell House, What Dreams May Come, Somewhere in Time, A Stir of Echoes, I Am Legend, Steel, Duel (yes directed by Spielberg), The Night Stalker, Twilight Zone episodes (including intro and closing every show), Star Trek episodes. If you are still unconvinced of his genius - remember the Zuni fetish doll that chased Karen Black around her NY apartment with a carving knife?....Matheson's creation! And the piece de resistance....Nightmare at 20,000 Feet -- William Shatner looking out the window from his airline seat at a gremlin tearing the steel and wire cables from a rear jet engine. I think I'd rather see vampires at my door. It's not so much an issue of *holding up to time* as to how many times it has been done; but read with the knowledge that this was the first...wow. What a legacy--what a legend! Better than I expected, but dated. Very different and much better than the movie, in that there are actual ideas and philosophical thinking in this story of a plague survivor in a world of vampires. Also, now the title makes sense - something that wasn't really clear in the movie. Actually, even though it's quite dated, especially with gender roles and expectations, it makes a lot more sense and is more interesting. A quick listen, I got through the whole thing on a short road-trip. 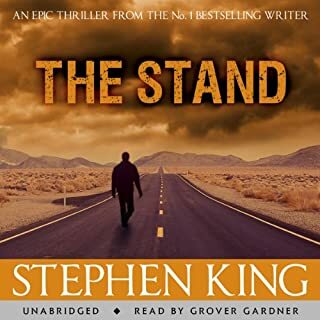 The narration suits the mood very well, the readers gruff voice bringing Neville to life and building the suspense of the story. I've never seen the movie (as some others have mentioned) but I've heard this original story has a much more interesting philosophical twist at the end and makes for a much darker and more interesting conclusion. I loved this book! I usually have a very hard time getting a new audiobook started. I am not that "into it" and will listen only a few days a week on my way home from work. But not in the mornings or after a hard day. This did not apply with this book! I was hooked from the start. It is eerie and compelling. I finished it in a few days.I even laid in bed listening to it! The movie was very loosely based on this book, so don't let that stop you. I found it cool it was written in the 1950s about the "future" in the 1970s. Wow! You will love it. 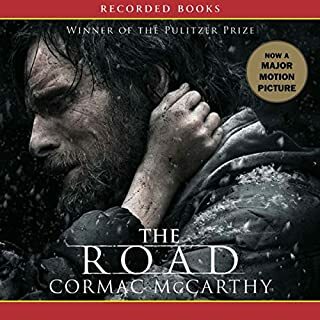 I listened to this book after watching the film as I was intrigued by the story and guessed that there would be more to a book than the film. But wow, was I wrong, the book and film could really be two completely different stories, but with the same concept. The book is brilliantly written and takes place in 1950's America. The naration is lovely, almost radio like, which adds to the ambience of the story, its dramatic and scary and takes up speed along the way. The ending is most unexpected, but fits more in with the story book than the film. 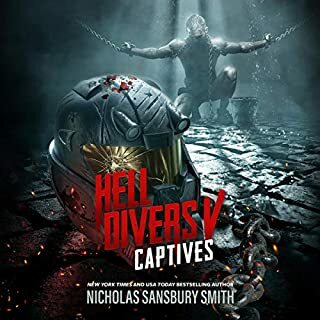 I don't want to give much of the story away in my review in fear of putting the reader off because of the vast differences between film and book, but suffice to say, it is worth reading and I promise you will enjoy every word of it. 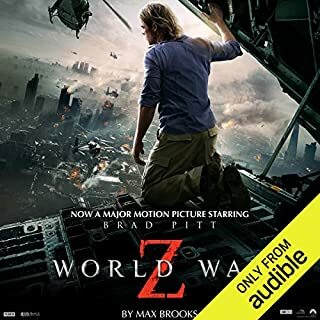 If you haven't seen the film already, listen to the book first. This is the first book I have ever listened to and have to say it was absolutely spellbinding. Gripping, tense and thought provoking I loved every single minute of the 5 hour listening time. Good choice of narrator too. If the only version of "I am Legend" you have heard of is the Will "Fresh Prince" Smith film version you are in for a treat. This is the book that, to my mind, created the modern vampire/zombie genre of horror. 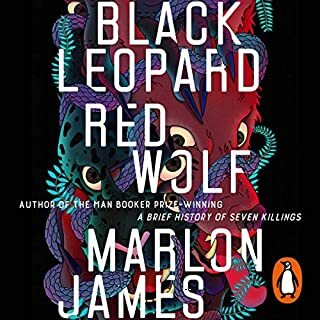 It is not a big, action fuelled story but a grim story played out on a human level by a very ordinary and at times quite unlikeable protagonist. 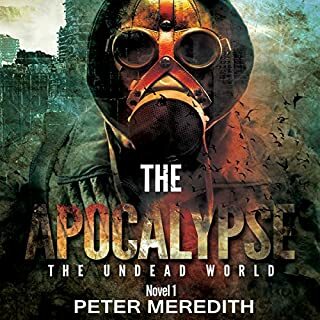 Robert Neville is no superhero but an ordinary man who happens to be immune to the virus that has turned the rest of the world into zombie-like creatues. The action takes place in Neville's dull suburban street and the first section of the book details his daily routine and his struggle to maintain his sanity. The later plot develops a romantic theme and the final third of the novel dips a little but the ending is, quite simply, stunning. 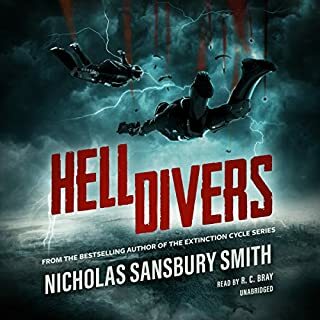 This audiobook version is very good, the reader/actor captures some of Neville's grimness and despair and the pacing is excellent. I thoroughly recommed this, I've bought print copies for several of my friends. This story is an absolute masterpiece, and a classic that all fantasy/zombie apocalypse fans should read. At first, it seems to combine what we stereotype zombies and vampires to be, but it then moves more towards them being vampires. I Am Legend is split into two, the first part being about how Robert Neville fights the psychological impacts of solitude, the second part about the evolution of the germ/vampires. Both parts are told brilliantly, and I was not expecting the second half/ending at all, making it that extra bit special. The prose is easy and smooth, and his characterisation of Robert Neville is superb. He is extremely believable; he makes mistakes, he is not a genius scientist overnight – he needs to learn from scratch, and he not a created as a hero typical of Hollywood film adaptations. We follow him carefully through sadness, anger and frustration. One part especially brought a lump to my throat (you will know which part when you listen to/read it). There is a reason this has stood the test of time. 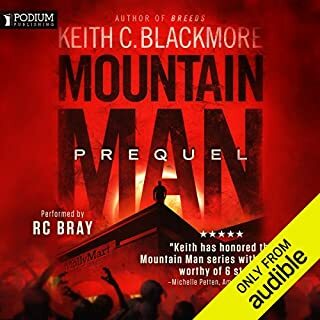 As it is cheap on audible, do what I did and wait for a sale rather than use up a more expensive credit. It is a bargain that you will not regret. Robertson Dean is a good narrator – he portrayed the dark and hopeless tone of the story fantastically. There was only a small amount of voice acting needed, but all was done well. 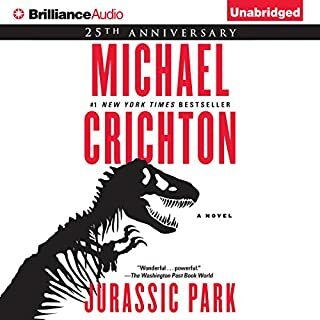 Although he was fine for the 5hrs of this book, I am not sure I could listen to him for much longer, as he can sound a bit dull when he was narrating, but this may have just been his approach to this type of story. I did have a problem with the production of this though. As I listen to audiobooks while driving on the motorway, the road noise can be loud. Quite often, the volume went from loud to quiet for a minute and then back to loud again. This meant I needed to alter the volume regularly to hear it. If you are listening in a quiet environment, you probably won’t have the same issue. A fantastically written book that offers the reader a delve into a character that is so well formed that you understand him, and his struggle brilliantly. 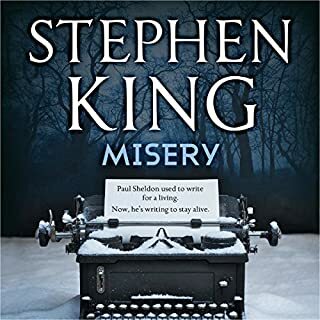 If you enjoyed the film, then download this, but take note; this is MUCH better than the film, which essentially misses the whole point of the book! Great book, well worth a read. A classic vamp tale or is it? You wouldn't be dissapointed with this if you like horror, vampires, and even a small dose of science. Well read too by Robertson Dean, a shame when it ended, but it does end so well. Filmed twice, (The Omega Man with Charlton Heston in the '70s, and I Am Legend with Will Smith a few years ago), this is a classic sci-fi tale by the man who also wrote The Duel. This recording has been used in an abridged form on Radio Four Extra recently. It is very effectively read and is a dark, claustrophobic story. I found it absorbing and compelling. If you like high quality science fiction without slash and gore, then this is for you. I really enjoyed this book; the tension grips you round the throat from the start, and never lets up. A rightly famous story. I haven't seen the movie version but it would be difficult to better the book. I docked a star as I wasn't too taken with the narrator, but I'ld still strongly recommend the book. 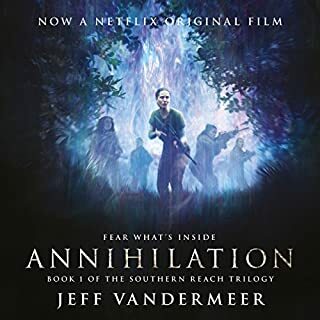 As with other reviewers, I had seen the movie a while ago and was interested to listen to the book as I'd heard the ending was different, but didn't realise how much it has been altered along with basically re-writing the story. I don't want to berate the film too much, I think they made a good adaptation as the book has more of a gothic horror style to it and maybe wouldn't have fitted with modern audiences as much. 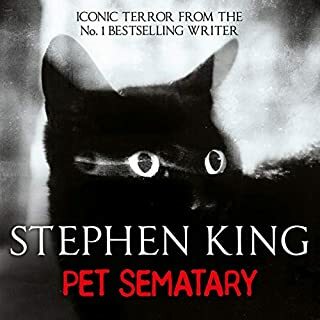 This is also reflected in the narrator, he is very theatrical and could become somewhat tiresome, but if you think of it as gothic horror it sort of works. I do feel the film missed out hugely on changing the ending though. The very reason for the 'I am legend' title is explained in the final realisations of the main character and it's a shame the film didn't depict this as I felt it would have been better for it. That said, this book on the whole is a good story and not overly long. I did feel it spent too long on certain minor aspects then felt rushed through key parts, but on the whole a good slant on the vampire story.